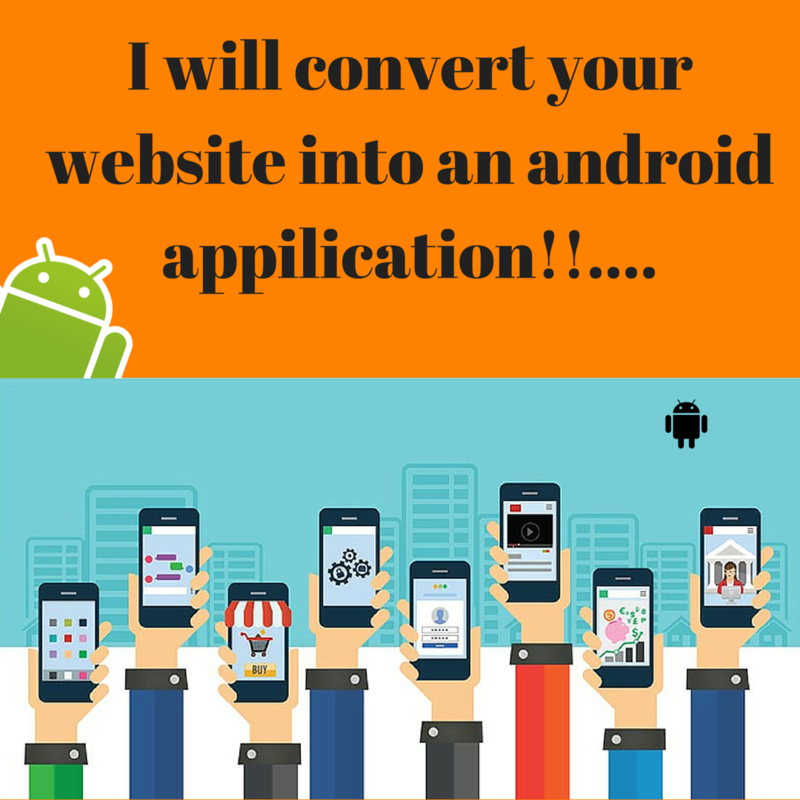 Convert Your Website into an Android Application. Developing an android app on your own is never been an easy task. Either you should acquire skills or hire someone to turn your ideas into life. That’s a different story for now because we got a shortcut for you. Yes, here is our SEOCLERKS service of the Most Advanced Android WebView App with Push Notifications Support. Choosing a right theme is what makes your app look more promising and attractive. 1. Push Notifications: Keep your registered users always engaged by sending Timely Notifications. 2. Splash Screen: Draw your user's attention in the first launch itself with a well-designed splash screen. 3. 3-dot Menu: Place your apps settings, rate and share locations under this menu. 4. Rate This App popup at the bottom of the screen using Math. That doesn’t interrupt the user by popping up in the middle. Do you own a Website/Blog? then probably it is the time to have an Android App to keep your users always engaged by sending Timely Notifications. convert your website into Android App and upload it to playstore is ranked 5 out of 5. Based on 23 user reviews.